We all have them, you know...those life changing stories. Those secrets that we don't really want to share and the secrets that we can not share. Those pests and skeletons in the closet that you or your family put there. We have no choice, they are just there. Love lost, suicide, abuse of one kind or another...ghosts that haunt. Ghosts that are just there to tell a story. Those ghosts are yours. You make them real when you tell their story. The question is, do you dare? You are a writer so of course you dare. You change the names and make fantasy out of reality. Sometimes...and sometimes you just tell the truth and let it fly for what it is. Maybe your story will inspire, touch someone, or make someone believe in the impossible. Please check out My Gutsy Story at Gutsy living. Some of you already know this story. I have never kept it a secret to my family or friends. When a secret can be kept or shared, I chose to share this one and I am glad that I did. 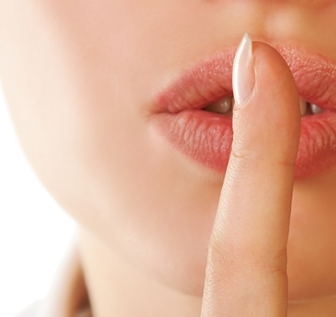 Do you have a secret you want to share? Secrets? Skeletons? Too many. And yes, we writers make stories out of them. I really like your post. It connects with my two latest posts! I have of course lots of secrets and skeletons, but I personally decide not to share. If I do through my writing, I modify them in such a way as to maintain the backbone of them; but I will be eventually the only one able to know whether what I wrote is real or pure fiction. I'll definitely check out your Gutsy Story! It's something I hear writers, musicians, and artists need - angst, secrets, troubled past... Crap, guess that's what I get for having a really boring and normal childhood. Without secrets and skeletons what would fuel my imagination? I just choose not to reveal which are real and which are imaginary. i remember reading this about your life--what a blessing--and yes secrets lose their power when we tell them---but some should not be shared---great post and story! Yes, Gid only knows I have plenty... I do share Some, but only some, with close friends ... As you know. My writing does on occasion explore the hurt and frustration of my past lives, but nothing specifically to a given situation. I personally choose to focus on the positive aspects of my life... They are ever present in my blog and writing. I often find that it is a relief to share secrets instead of locking them away to grow..
Hi Siv .. you've had a full life, with many ups and downs .. it's tough to tell us, yet good too .. others need to know and understand that side of life .. Delighted you're here posting about finding yourself properly via FB ..